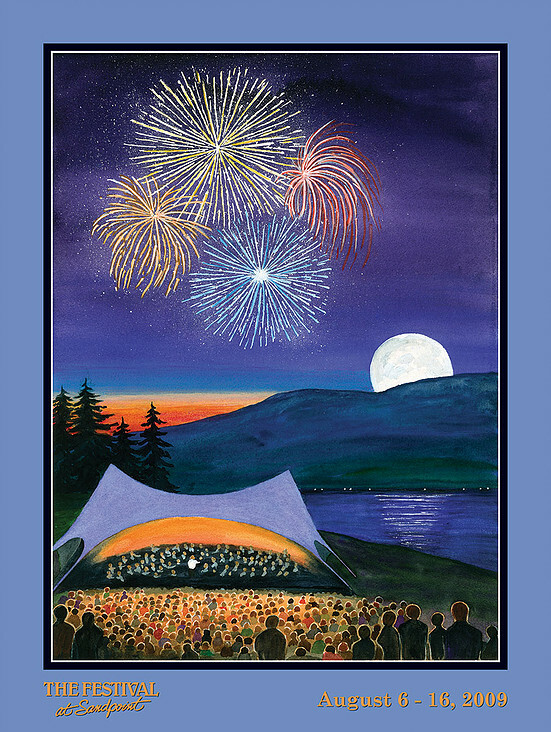 The Festival at Sandpoint has presented music under the stars on the lake in Sandpoint, Idaho since 1983. 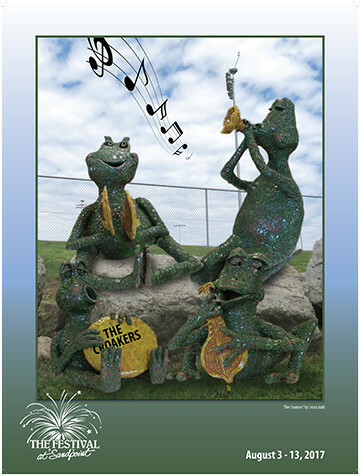 The 501(c)(3) non-profit arts organization was founded in 1982 by a group of local volunteers who wanted to introduce symphonic music to the area and provide an economic boost for their community. 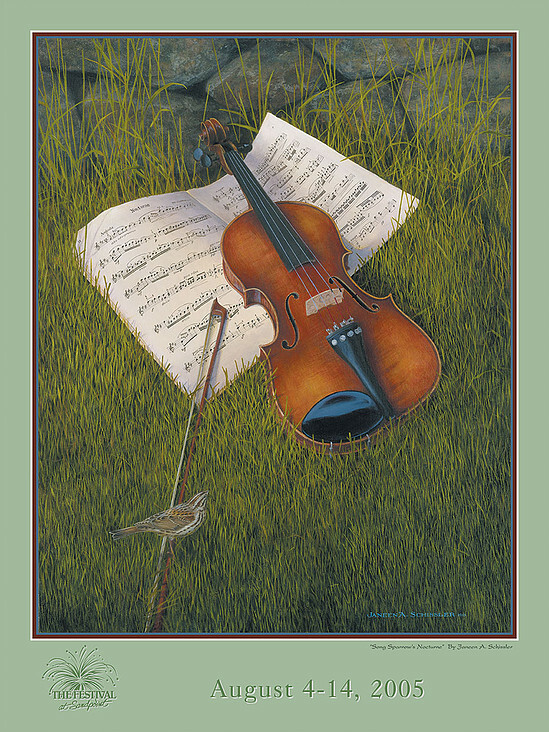 The first season of the Festival featured three concerts with the Spokane Symphony Orchestra held at Memorial Field. 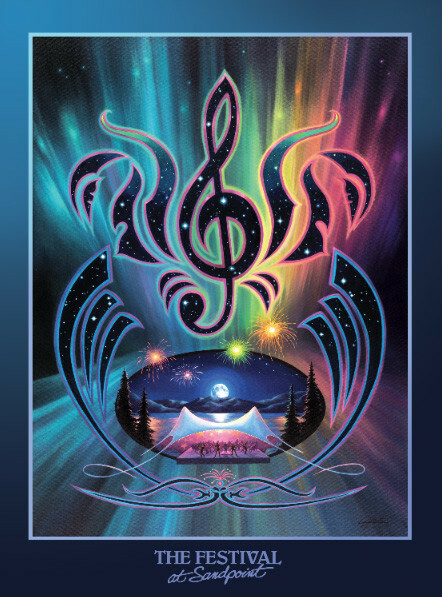 In the early years, the Festival hopped around venues, including Schweitzer Mountain Resort, “The Ranch” 15 miles south of Sandpoint and Memorial Field. Since then, the Festival has grown and diversified. The now two-week series takes place every August at Memorial Field and welcomes 25,000 people through the gates per season to enjoy the same love for music that made the Festival exist. 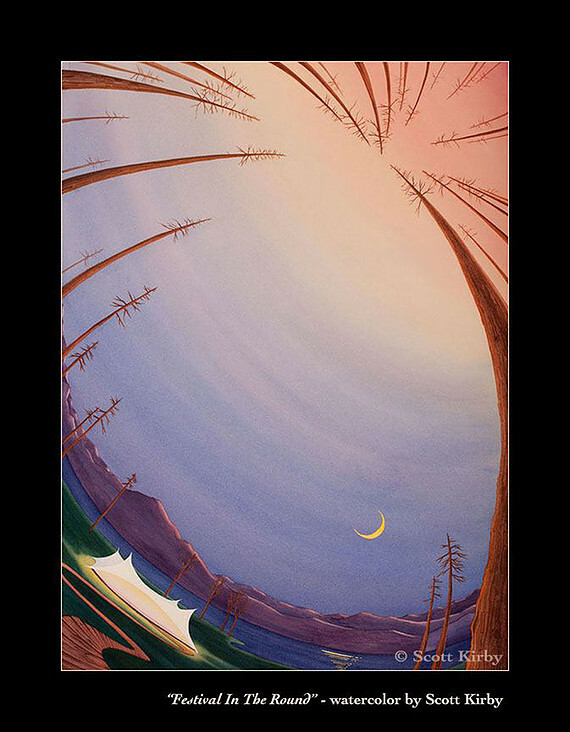 Each year since 1983, The Festival selects a new piece of art from a local artist for the keepsake poster. The Festival keeps an archive of every poster created. Posters can be purchased at the office for $10. 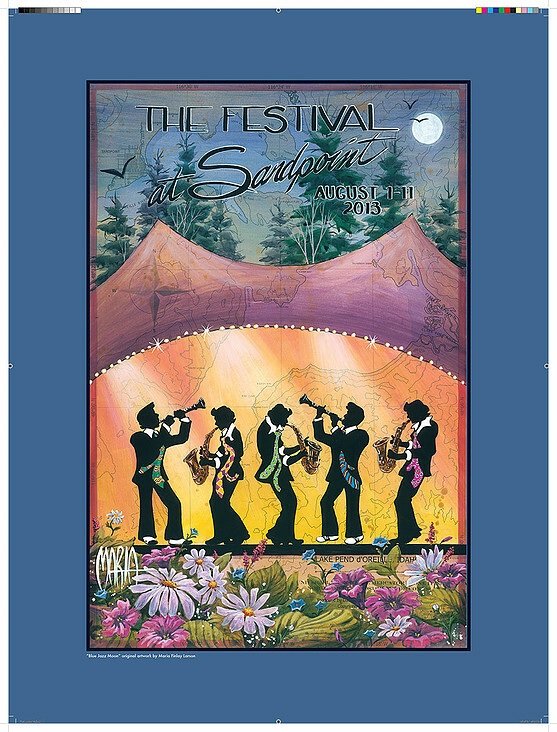 Ever wonder just how each year’s Festival at Sandpoint artist is chosen? 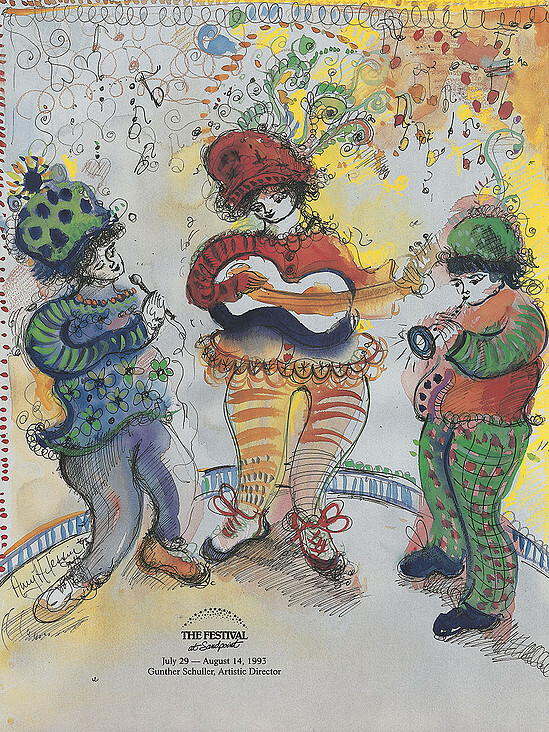 In the Festival’s first years, the poster’s function was to advertise the concert series, but has grown into more than that. 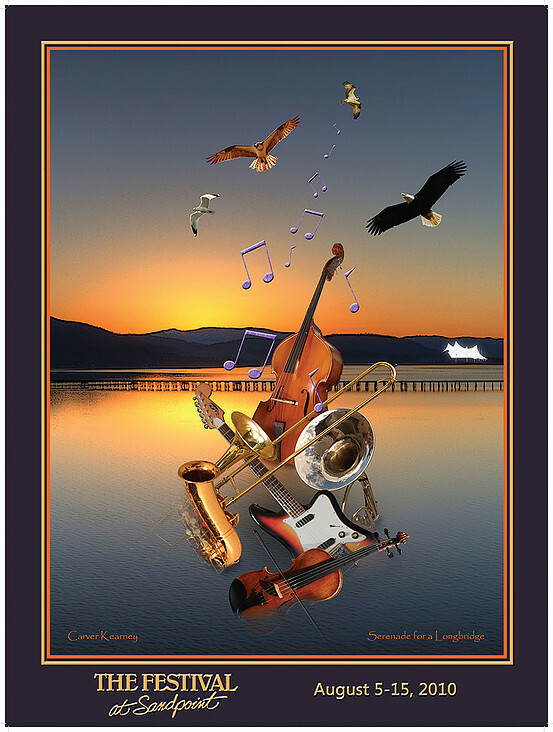 It has become a way to showcase Bonner County’s talented array of artists, ranging from high school art teacher, Dan Shook, to quilters Sue Graves, Gerri Harvill and Helen Newton with “A Symphony of Threads”. It is now the one facet of the Festival in which board members and staff do not have a say. Instead, an artist is chosen by a panel of former Festival artists. The panelists feel strongly that only a local artist can best reflect the beauty of the Festival. 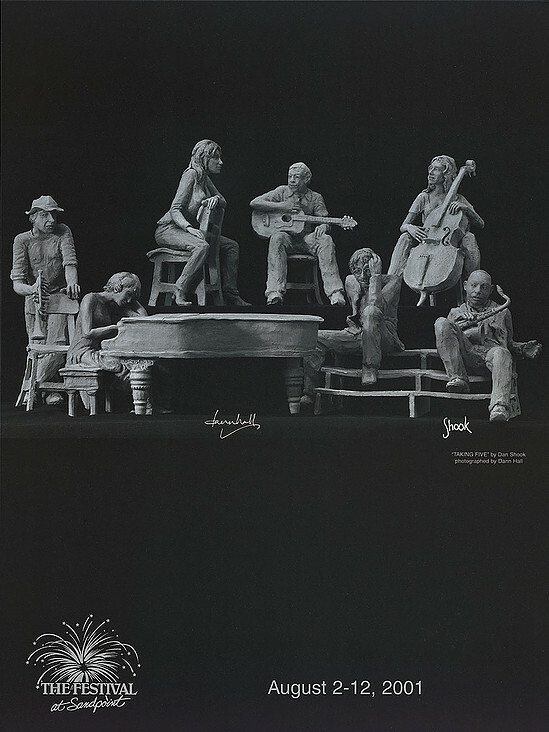 Once unveiled in July, a signed print of the poster goes on sale to the public for just $10. The original artwork is then bid on through the Festival until the winning bid is announced at the Grand Finale. All proceeds go to the Festival. 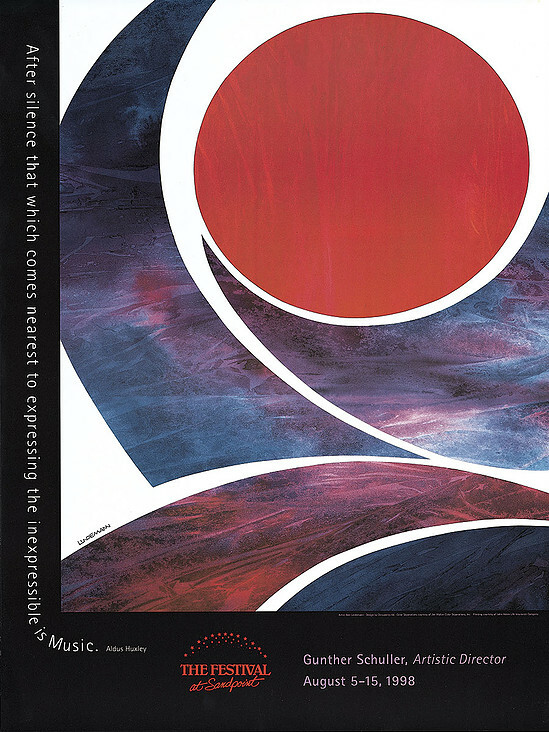 In addition to receiving a publicity boost, each year’s Festival poster artist gets four season passes in the reserved seating area for the year they are selected, plus two season passes for life. The exciting thing about the Festival poster process is that there are so many talented artists to draw from who are living in the area. “There are still a lot of artists who haven’t been tapped!”, said Executive Director Dyno Wahl.